As green life begins to sprout through the tough winterized soil and beautiful buds emerge and come to life, my spirits are also renewed. And although I know it will inevitably happen, the waiting part of Spring about kills me every. single. year. I admit it, patience is not my greatest virtue. It was all too evident after my return from our Spring Break excursion. Coming home to a 50+ drop in temp about sent me over the edge. If you don't believe me you can ask any of my family members or read all about it. The "waiting" is important. It is only by having to wait that we come to truly appreciate and value the finished product. If winter ended and spring was instantly sprung we would take the green lush and the aromatic lavender and lilacs for granted. The daffodils would be overlooked and undervalued. And what a shame that would be. They are such a welcome and glorious part of spring. I'm not sure if it's because winter seemed to drag on forever or if my new camera lens has magical powers, but those daffodils sure seem to be extra special this year. You can see more of my "yellow" photo shoot here. Just today my little Pokey picked this flower for me on her way home from school. I'm not advocating picking just any flower, but this one melted my heart. She watered it and even put it in this cute little vase. So, don't rush it. It's coming. And in her due time Spring will bring forth the most magical symphony of colors and aromas- better than anything you alone can create or imagine. Patience. Hubs keeps reminding me that April showers bring May flowers and not the other way around. And while we wait and watch Spring unfold, I thought it would be fun to document the individual stages. There are so many beautiful pieces along the way that are often overlooked. 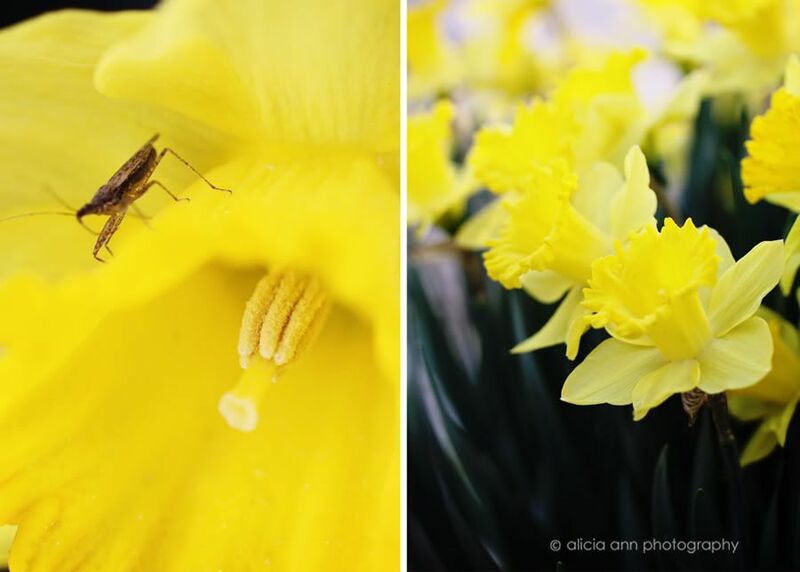 Grab your camera and join me for my spring photo challenge April 15th thru May 15th. You can start at any time and you can do as little or as much as you want. There are many ways to play along. You can add your pics to my 30 Days of Spring flickr group. You can tweet it using the #30dos hashtag. Or you can do a post and share it here at project alicia in the linky below. Just grab this button. I will periodically share some of my favs either on twitter, facebook, or right here at project alicia. Can't wait to see what you come up with. Happy snappin! P.S. If you are one of my New Zealand friends or in a part of the world currently not having spring, dig up some old pics and still play along! Daffodils are beautiful. I just had some in my house the other day. Love the pic with the flower behind the ear. I'll join :) I'll be back at the end of the day with my first shot. I'm going to do my best to join in. I've got to find the time to get outside and get snappin! I love those pics of Pokey! Beautiful! Hey, a new header!! It looks great but then your headers always do. What a fun idea...and I so LOVE that 1st shot. Very cool! Nice photos. 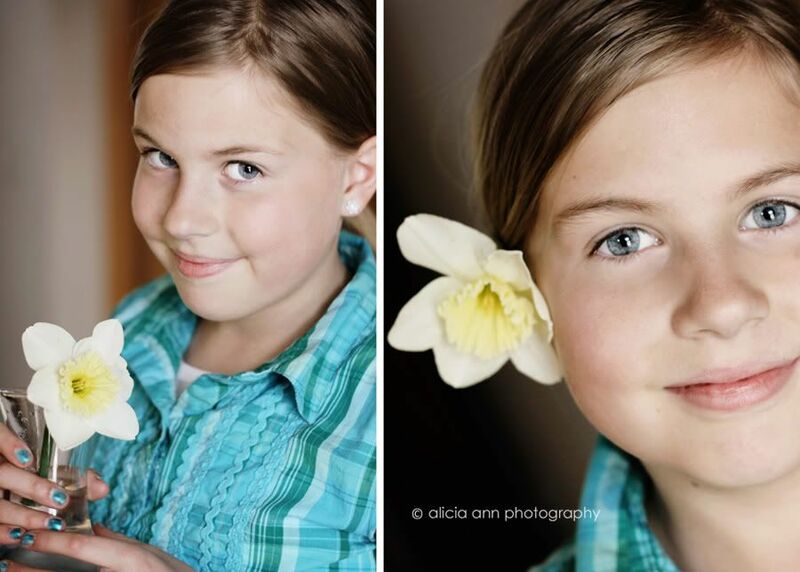 I really like the one of the daffodil behind your daughter's ear. Oh this is so fun and your shots make me HAPPY! I will head out on a spring hunt and come back with some stuff soon!!!!! I will definitely try to play along as much as I can! i want do join!! we shall see! Thanks Alicia.. your photos are beautiful! 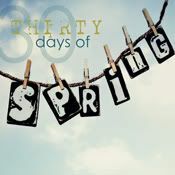 Love your idea of 30 days of spring. 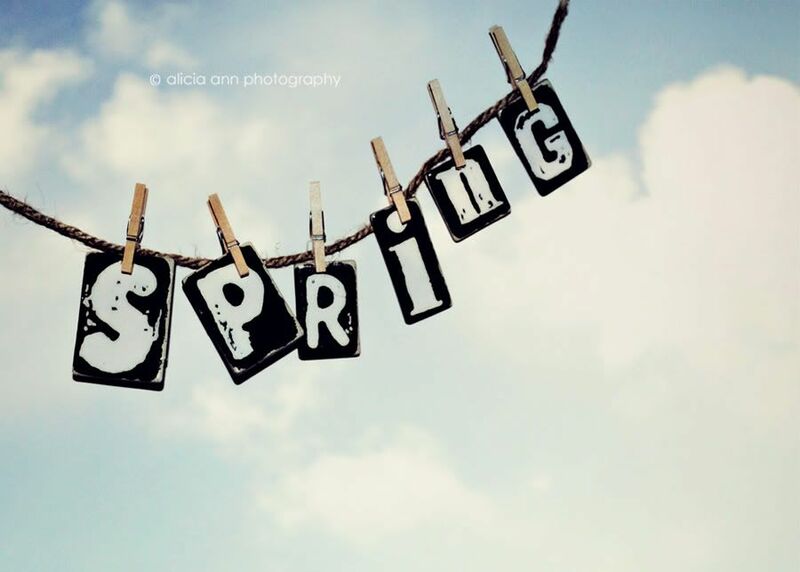 So glad to have stumbled upon your beautiful blog :) & what a fun blog hop, spring has finally arrived! Thanks so much for the invite! I thought I was already following you, but I wasn't. That's remedied now! I have a question? Can we link up more than once throughout the month? Is that the idea? Thanks! Okay, I'm confused. Did I link up on the right post? Just wondering...have a great Tuesday.